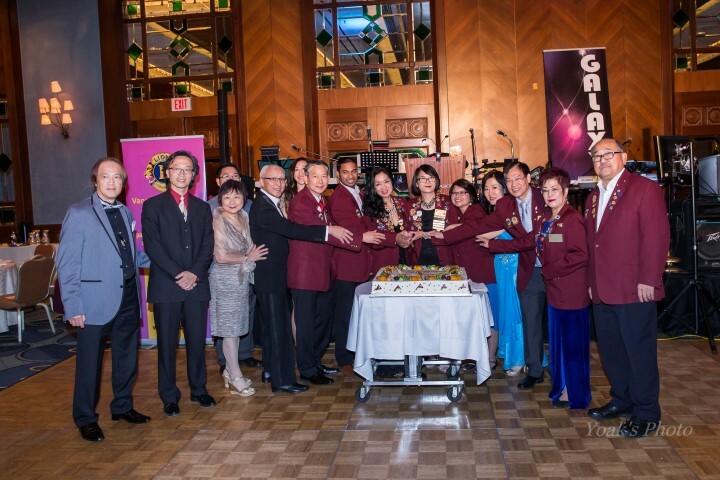 Please note President Lion Vivian Lo’s thank you note to all who supported the event. I would like to take this opportunity to thank all of you for your support to our Christmas Party. Although we came across many challenges and difficulties when preparing it, we had a fruitful and memorable one yesterday. Gratefully, we were able to raise the funds we were looking forward to. First of all, I deeply thank our Co-chairs, Raymond, Elsie, Menjou and May for their devoted contributions to the event and without their efforts, our Party could not come true. Treasurer Emilie, and the team of receptionists were busy the whole night collecting money. Secretary Jose and deputy Jocelyn have helped with the Party months ago. Other members such as Susanne, Roger, Thomas, Francesca, Yehen….. every member in our Club collaboratively interwove the gorgeous results that we experienced last night. Of course, our Gold MC, Johnny, became the soul of the event for he controlled the time well and elevated the spirit of event and all these resulted in a coherent program. The voice of our CP, Daniel was especially sweet last night and I thank him for arranging part of the amazing programs. The last but not the least would be the fantastic participation of our Club Branch Members. President Rachel, Treasurer Yik Chung, member Marco did their best to support us. Actually, our new CB member, Michael Liu stayed behind to help us tidy up the venue until 12 midnight. I would also extend my heartfelt gratitude to our volunteer photographers, Kee Siu and David Low, and many nameless heroes that helped put forth our event. Joyce and Robert of Villa Cathay have supported us in many different ways and my wordless thanks to them. Consistent with the spirit of Lionism, we aim at serving the community unselfishly and unconditionally. With beautiful team work, we actualized our dream by making a step forward in building a new home for the seniors and have our mission escalated.